Need your Star Wars Pinball fix? 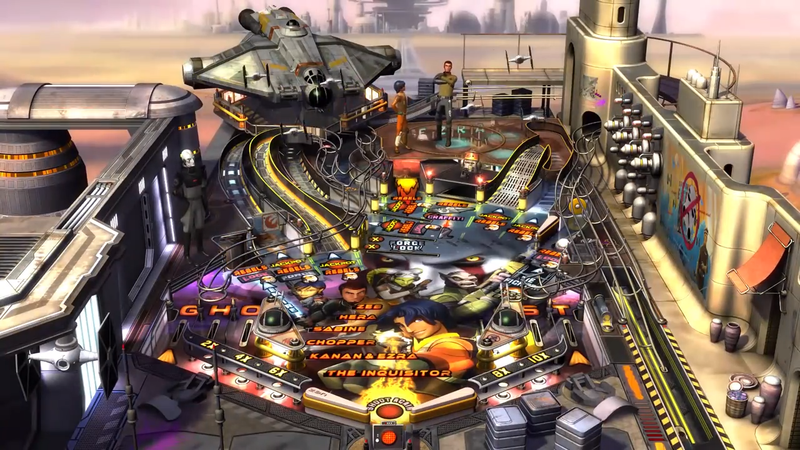 The entire Star Wars Pinball collection is finding a new home on Nintendo Switch, thanks to Zen Studios. There will be 19 tables' worth of Star Wars action available to play around with, including a special vertical play mode that lets you take advantage of the Switch's unique screen dimensions so you can play the game sideways for a more realistic pinball experience. The game will be available via the Nintendo eShop, but it will also get the first-ever Zen Pinball physical release as well when it debuts later this year, so if you're excited to see these tables come to the handheld console, you can commemorate it by picking up a physical version, right before the latest Star Wars title releases around the holidays – you all know you're waiting on that, right? The Switch title will also use the HD Rumble feature and include a new Switch-exclusive career mode that's meant to keep players enjoying the game on the go with short bursts of gameplay. You can also listen to the game's soundtrack at will with a special jukebox mode, and explore a collection mode where in-game bonuses will be doled out. Character-specific tables for Han Solo, Darth Vader, Calrissian Chronicles, Boba Fett, and Droids. Star Wars Pinball is set to debut on September 13, 2019. Better start sharpening up your pinball skills now.